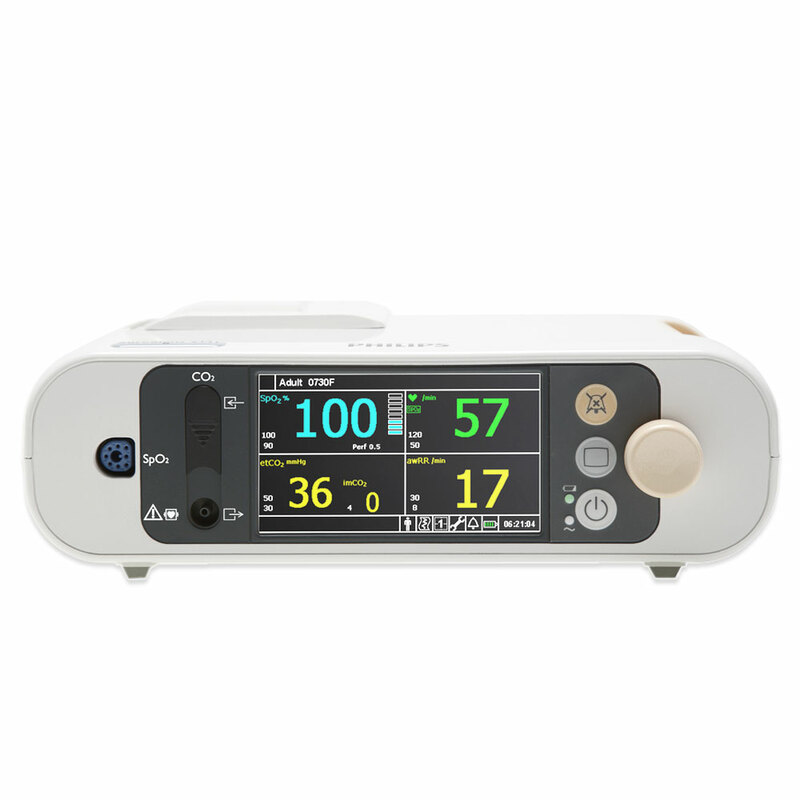 Philips SureSigns VM1 Vital Signs Patient Monitor. Standalone bedside patient monitor that can also be used during transport within a healthcare facility. Easy to use, compact and lightweight, the VM1 is ideal for monitoring and alarming multiple vitals for adults, pediatrics, and neonates. The VM1 features an easy-to-read display with large color-coded numerics and real-time waveforms (for SpO2 & CO2). The VM1 can also provide patient ID entry with the optional programmable bar-code scanner. The VM1 patient monitor has been designed for practicality and functionality. For ease of downloading data, the VM1 features LAN/serial data export in HL7 format. There is also a USB port for data export and software upgrades. It has a lithium-ion battery as an internal power supply, and an AC power cord for operation and charging. Battery operating time is 6 hours with continuous SpO2, charges in less than 4 hours. The VM1 ships with the SpO2 package onboard, a power cord, lithium-ion battery, instructions for use, quick reference cards, service manual on CD, and a 3-year parts only warranty. Basic accessories package includes the SpO2 Sensor Starter Pack (M1131-64001), single patient use: 2 adult/pediatric single patient clip sensors, 2 infant single patient wrap sensors, 2 neonate/infant/adult single patient wrap sensors, adapter cable. Also available are an optional add-on recorder/printer, and an optional add-on CO2 package (microstream technology). Recorder/printer includes 2 rolls of recorder paper (989803136891). CO2 package includes Microstream etCO2 module (sensors purchased separately).